In an earlier post I described how the term “narrative space” refers to the breadth and depth of the subject matter from which you will develop a story. Like a cloud, the subject matter is just the raw material – a nebulous realm in which many story structures might be found. Think of a story structure as a construct of tinker-toys about the size of a basketball. And think of a narrative space as your bathtub. With a tub full of subject matter, you can drop your tinker ball anywhere in it and encircle a different batch of water. Without changing the structure at all, you can move it just an inch and still change the nature of the particular subject matter you’ll use in making your point. Now look at it another way. You have this tub full of subject matter than intrigues you. You’d love to cram it all into the same story. But, your ball just isn’t that big. In other words, you’d need a book the size of an encyclopedia to cover it all, or perhaps a movie 8 days long. Could it be done, of course! But should it? Not if you expect anybody to read it or go see it. So, you assess your tub. You’d really like the rubber duck in your story so you put the ball around that. But, you’d also like that particular lump of suds – it just intrigues you. You gently push that little bubbly heap into your ball as well. In fact, you go all over your basin and pull all the water and floating things you’d specifically like into your ball. Eventually, you can’t get anything new into the ball without pushing something else out. That is the story equivalent of the speed of light constant. I call it the size of mind constant, because it describes the maximum size a story can be and still be held at one time in the mind of your reader or audience. Of course you can always plop another ball into the same tub to gather in a different collection of subject matter. 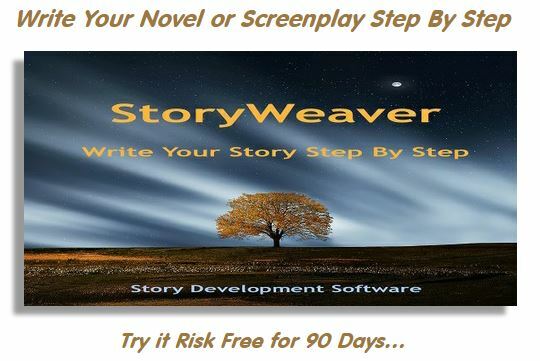 Thus, by writing a series of books, penning a television series, or hammering out a bunch of movie sequels, you might be able to get almost all the subject matter that interests you covered in one story or another – just not all in the same story! Some of your tinker balls might actually overlap in the tub, like galaxies colliding, in which they each share some elements of story structure. Others may carve out sections that are completely separated. And, some may nudge up against each other just close enough to have a topical point of connection. In the end, though, you need to decide for any given story what subject matter you will include and what you will exclude. Or, put inversely, you need to determine where in the tub to drop your ball. Finally, to the point of this particular posting – narrative space in the real world. By this I do not mean the practical application of story structure in fiction, but the projection of story structure concepts into the actual, physical world of living, breathing people. Quite a departure, I know. But recall that Dramatica is a theory of the story mind. It holds that every story structure is a model of the mind’s problem-solving processes. Even more, it goes so far as to contend that story structure represents the underlying structure and dynamics of our own minds upon which our unique experiences fashion our singular personalities. Hey – too talky… Let me try that a little more conversationally… What works in story structure works in understanding everyday life as well. The story mind is the same as our own minds. It is a fully functional model of how we think – how we organize things in our own heads. So it should not come as much of a surprise that the way we organize our stories is all the way we organize our lives. 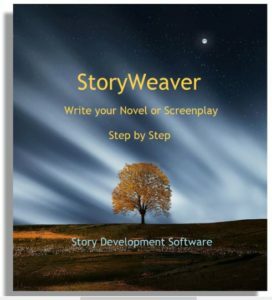 Now one person will organize his life in many story structures. Your life is your tube and you’ll have lots of balls in it – some bigger (up to the size of mind constant, at times) but mostly smaller structures of various sizes. You’ll have a structure for your parents and one for your kids. You’ll have a structure for your job and, within that, one for your boss. You’ll have a structure for your future, one for each hobby, and one for the concept of hobbies in which each smaller structure is an element in the overall concept. We don’t think about structure, we think in topics and organize in structure. So, one person will have many nested and isolated structures all bouncing around in his or her head all the time, shifting around the the subject matter of our lives, driven by the passions of our personalities. But underneath it all, logistically, organizationally, there is sense in the midst of the chaos when you recognize the structures of your life and don’t try to create a “life story” but more like a “life pageant” of the ongoing progression, collision and evolution of all the little stories that make up your pitiful existence. Oops… got a little carried away there with the rhetoric…. Point is, one person has many stories. And within themselves, they can see all the characters you find in stories – the Reason character who represents our intellect, the Emotional archetype who stands for our passion, the Protagonist who is our initiative, the Antagonist (our reticence), the Sidekick (our confidence) the Skeptic (doubt), the Guardian (conscience), and the Contagonist (temptation). Every time you join a club, participate in a class, get involved in a political party or show up to work, you are taking a role in a bigger story than yourself, but completely like the way your own mind is organized. So, one of us will be the voice of Reason, another the Emotional (passionate) perspective. By each taking a role, we cover all the ways we can possibly think about the issues the group faces, we create a “big giant head” a la the old television show Mork and Mindy and populate its roles. Now if you join an already existing organization, there might not be the position open to which you are best suited. And, because of seniority (or lack thereof) you have to take a role that isn’t all that natural to you. But if you don’t, you won’t have a place at the table. So, you cram yourself into that position as best you can in the hopes that if somebody else leaves or dies or gets kicked out or whatever, when the musical chairs of reorganization occurs you may be able to snag yourself a better seat. Though these things are always to some degree in flux (like molecules, heated, agitating and vibrating to one extent or another), there is a general inertia to each story system that holds the group together. In time, like a person, a group may grow old and die, lose its vibrancy, or simply go to pieces. And then, the pieces will gather together or be sopped up by other groups (again like solar systems forming from the remnants of a super nova) and the process will begin all over. Now the last notion I’ll lay upon you (hallelujah!) is that even groups gather together in groups. Cities become States become Nations. Factions become Movements become Parties. All of humanity is arranged as nested or separated groups, vibrating and evolving and overlapping as they pass through one another in the great subject matter tub of life. Seems largely like a mess (if you watch the evening news or try to find a job) but beneath it all, very sound, stable, predictable and consistent patterns are a work, all fractally related to that little bitty brain stuffed into each of our puny heads. A world within and a world without. Finally, just to poke the bear one more time, go ahead and write your fictions, shoot your movies, and tell your tales. But wouldn’t it be interesting to try and apply these same Dramatica principals not only to the realms of your creation but to all creation? What’s the story with your spouse? Your job? Your future? Which of those countries is the Skeptic in this particular international melee? How does what happens in my town fit in with what happens in my county, and how does it mesh with the next burg over? This entry was posted in Beyond Dramatica, Story Structure, The Story Mind. Bookmark the permalink.